In 2012, former Florida Governor Jeb Bush quipped that he was Florida’s first Latino governor. “If Bill Clinton is the first black president, then I’m definitely the first Cuban—or Latino—governor of Florida,” Bush said at an luncheon sponsored by the Hispanic Leadership Network, which is a part of of the centrist and pro-amnesty American Action Network. As National Journal noted at the time, “actually, the first and only Hispanic governor of Florida” was Republican Bob Martinez (Martinez was governor from 1987-1991 while Bush served from 2001-2009). 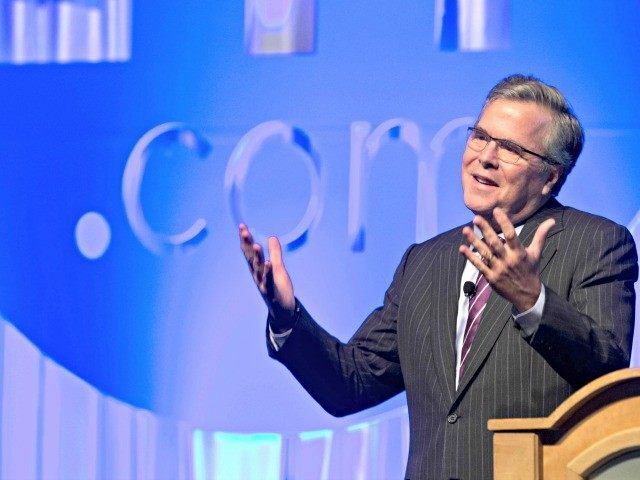 The New York Times reported on Monday that Bush identified himself as “Hispanic” on a 2009 voter registration form.